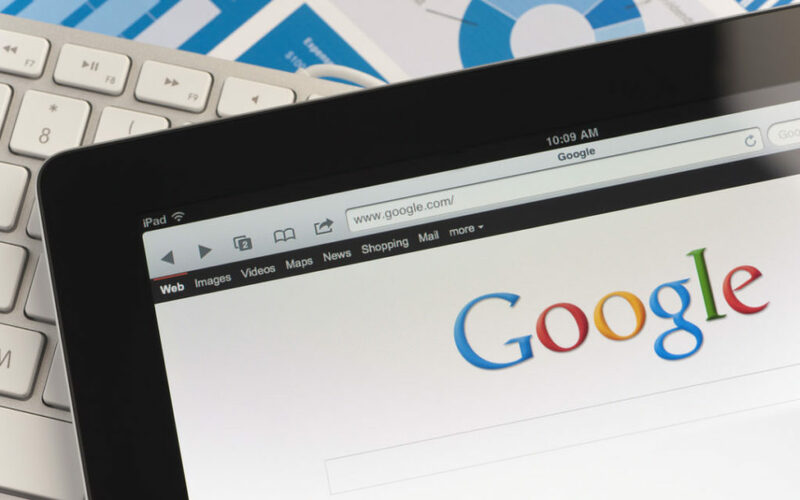 In a landmark partnership, the National Business League and search giant Google are teaming up to increase the growth of black businesses globally. 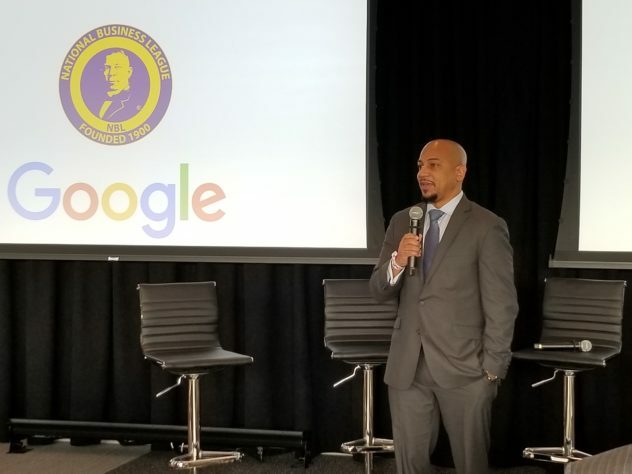 The organizations are uniting to offer a vast array of strategic initiatives to black and minority-owned businesses, including online training programs, business coaching, workshops, and access to Google’s cloud-based solutions and tools, Ken Harris, NBL’s president and CEO, told Black Enterprise. The partnership aims to close the digital divide for black-owned businesses and entrepreneurs of color, provide black businesses the tools to transition into and be successful in the digital economy and provide them resources to grow and generate more revenue in America and internationally. “For black businesses to be able to compete and grow their market share, technology is absolutely critical in that development, Harris says. The alliance brings together the nation’s oldest trade association for black businesses and the world leading search engine provider, a global leader in cloud-based technology. Harris says black businesses have a large technology gap that has to be closed. He says the deal will bring to the marketplace opportunities for black entrepreneurs who have been disproportionally isolated, marginalized, or disconnected from resources to grow and position themselves for the future. 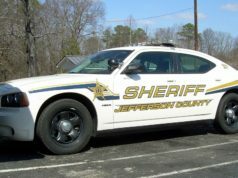 Financial terms of the partnership were not disclosed. But its leaders swear the effort is vital to the development of black businesses, supporting current and future African American entrepreneurs. Businesses will get a free website, domain name, e-mail address along with search engine optimization gadgets. Plus, they will have full access to Google’s cloud-based G Suite, including Gmail, Docs, Calendar, and other services. Non-NBL members can get the services for free by becoming members of the NBL, which charges $19 annual for the annual membership. The new program was kicked off Monday in Detroit, where the NBL is based. It will be launched to regional hubs in Atlanta, Los Angeles, and Washington, D.C. next year and expanded to over 365 of the trade group’s business leagues nationally and internationally by 2020. Harris says the NBL now has over 15,000 members but its goal is to boost that to 1 million with the partnership in the next two years. 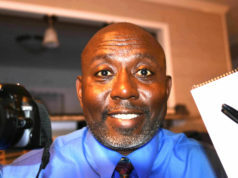 He believes the goal is attainable largely because black-owned businesses are growing three times faster than other businesses nationally, with black-owned women businesses leading the pace, according to the most recent U.S. Census data. The deal comes a year after the Michigan Black Chamber of Commerce acquired the NBL, a business group founded in 1900 by Booker T. Washington. The MBCC transitioned to the National Business League and kept its name. Harris says the NBL will become the first virtual Chamber of Commerce providing cloud-based solutions to black entrepreneurs in the U.S. and the black diaspora. The National Business League’s tech-enhanced website powered by Google will be launched early next month. 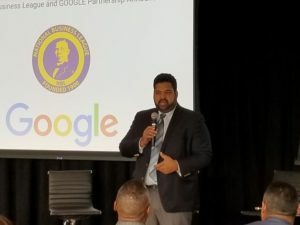 Chris Genteel, Google’s director of community and business inclusion, told the Detroit News the partnership is an extension of Google’s work to support black businesses. 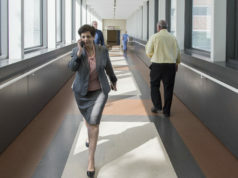 “Google’s mission is to organize the world’s information, making it usable and accessible,” Genteel said. “We can’t get there without the black community. Period.” He added that the partnership will connect businesses with Google’s products and provide opportunities for them to explore supplier partnerships. Among the challenges for the partnership will be getting black-owned businesses to participate in the initiative and making them aware that education and training are key tools for growth.